Eskom, the giant power utility that drives the economy, holds the key to inclusive growth and shared prosperity in South Africa. Instead it has become the site of corruption so rampant that it threatens the entire country’s wellbeing. Award-winning journalist Stephan Hofstatter’s hard-hitting investigation traces the genesis of the Eskom looting spree from Transnet, where the blueprint for parastatal plunder was developed and refined with the help of top-dollar consultancies. From there he explores how the Gupta family extracted billions in suspected kickbacks from state contracts and scored hugely inflated coal contracts from backroom deals, and examines how Eskom’s top brass enriched themselves and their families at the power utility’s expense. 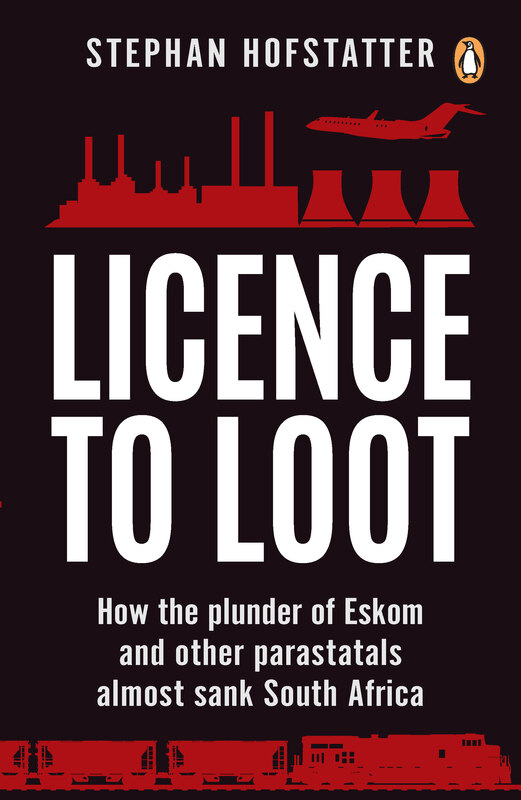 Licence to Loot delves into the secrets of the fixers, deal makers and bribe masters behind this epic pillaging of the public purse, and maps out the intricate network of executives, board members and cabinet ministers who facilitated it. From clandestine meetings in London hotel rooms and visits to African dictators, to offshore tax havens, shell companies and private jets worth millions of dollars – not to mention a secret Dubai bolthole fit for a fleeing president – this book lifts the lid on a complex looting scheme that almost sank the South African economy. Stephan Hofstatter is an award-winning investigative journalist with a long track record of uncovering corruption at state entities. In a journalism career spanning more than two decades he has worked or written for various publications, including Business Day, the Financial Mail, Sunday Times, Mail & Guardian, Farmer’s Weekly, GQ South Africa and Der Tagesspiegel, and contributed to two books by renowned photographer Jürgen Schadeberg. Hofstatter’s stories, produced alone or as part of a team, have won many accolades. These include several Journalist of the Year awards for work on land reform and corruption in the police department and communications ministry, two Sanlam Awards for Excellence in Financial Journalism and two Taco Kuiper Awards for Investigative Journalism for exposing government corruption.